Thanksgiving is a great holiday to get the kids into the kitchen to help cook — and to learn how to host a house-full of guests. A few weeks before Turkey Day, have the kids help you write up a game plan with these tips. Talk to the kids about what foods their cousins and the other kids on the guest list might like to eat. Write up a kid-friendly menu and check off who’s willing to cook what. 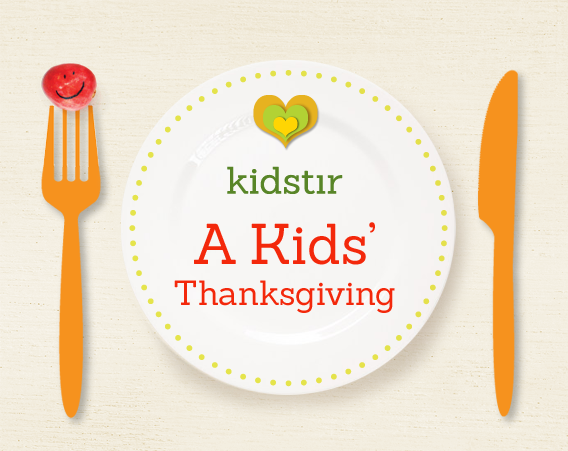 You may be surprised to hear that your 7-year-old wants to help make the stuffing! Put the kids in charge of the Thanksgiving fun and games. Talk about games to play before, during, and after the big dinner. Start with the classics — like a round of family charades or a post-turkey touch football game in the backyard. Plan a few thoughtful games, too, like a Thankful ABC game. Check out our collection of fun kids cooking games! Put the kids in charge of making the kids’ table feel festive. They can make paper name tags for all the kids at the table. Help them turn pine cones and other nature finds into a centerpiece. Don’t forget candles and cloth napkins! Once your friends and family arrive, encourage your kids to be gracious hosts. They can offer to take their grandparents coats and hang them up. And ask aunts and uncles and other relatives questions (and don’t be shy!). Thanksgiving is a great time to connect with family.